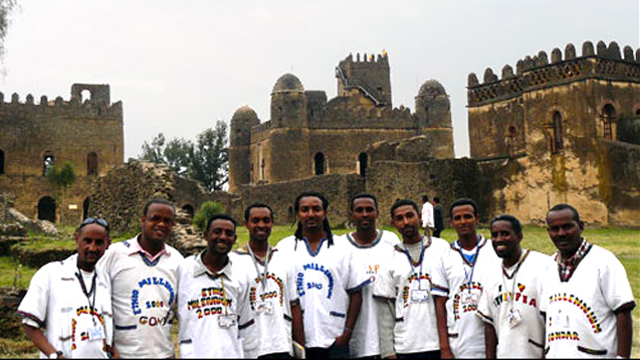 Members of the Ethiopian Tourist Association who worked with an English Language Fellow to create a national promotional brochure, visit the Fasilides Castle in the historic city of Gondar. 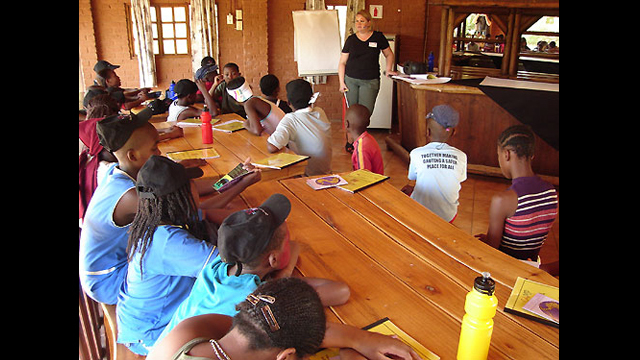 An English Language Fellow facilitates a session at a summer camp in South Africa. 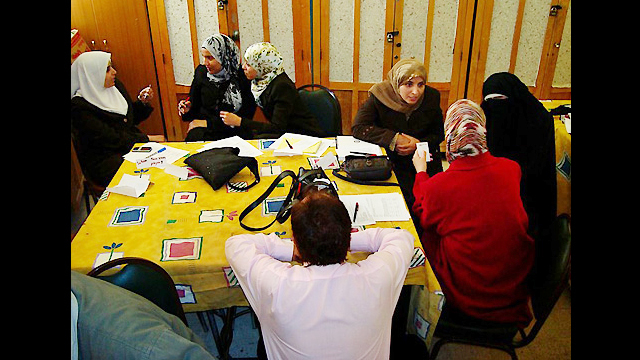 A Senior English Language Fellow works with English Access Microscholarship teachers in southern Jordan. 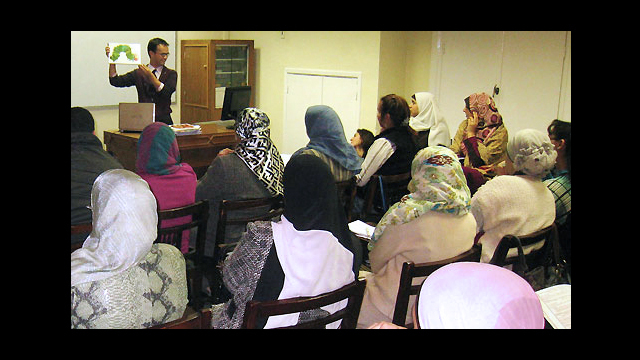 Nile TESOL Conference: An English Language Fellow presents at the Nile TESOL Conference in Cairo. 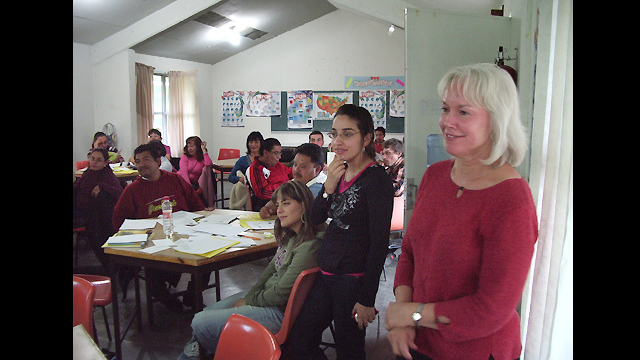 An English Language Fellow shares teaching techniques such as Readers Theater and Jazz Chants with the Mexican Association of Teachers of English. English Language Fellow Program photos.